Saw a super stylish gal in a pair of paper bag shorts and had I been quick enough I would have nabbed her with a where-did-you-get-those-I-need but alas I was too slow so here are some alternatives. 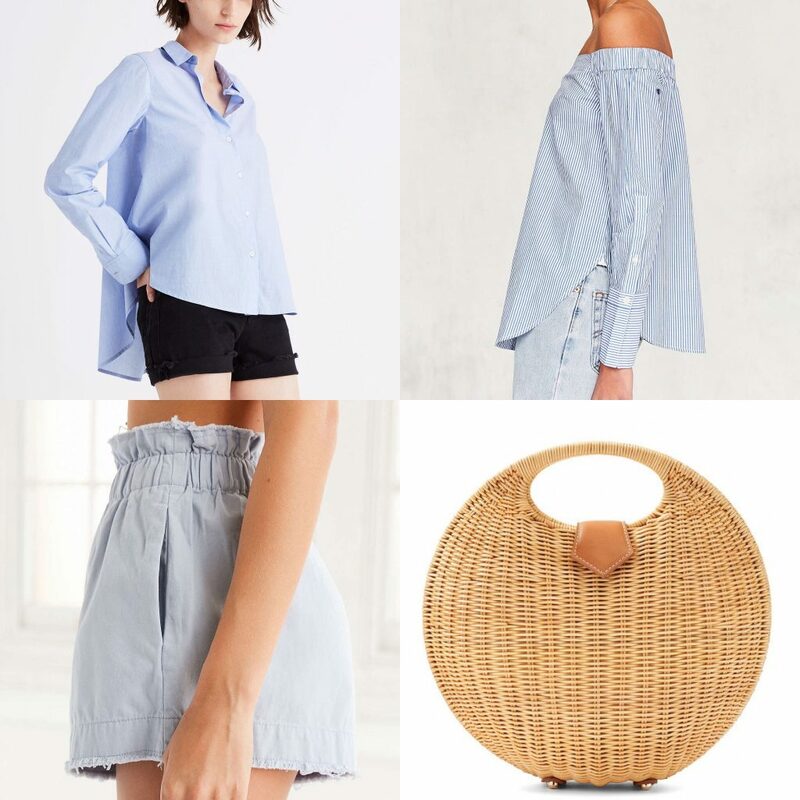 Ecote Coffee Break Paper Bag Shorts or these Open Road Denim Paper Bag Shorts (also in white) which I would pair with this Madewell Westlight Button Down Shirt (on sale!) or this Silence + Noise Cuff Off the Shoulder Top and because you can never (ever) have too many wicker baskets I would carry this J McLaughlin Victoria Circular Wicker Bag .